TOKYO, Nov, 15 2018 - (JCN Newswire) - Mitsubishi Motors Corporation today announced that the Eclipse Cross crossover SUV has been selected as the "RJC Car of the Year 2019" run by the Automotive Researchers' & Journalists' Conference of Japan (RJC) after final judging on November 13. 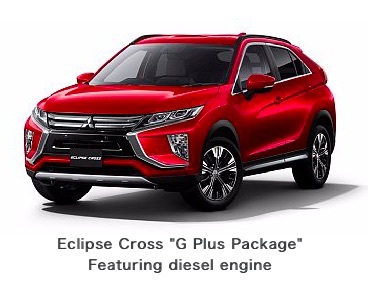 In selecting Eclipse Cross, the RJC selection committee commented, "Not only is the Eclipse Cross a stylish fusion of a sharp coupe and a compact SUV, but it has high rough road performance and well balanced dynamics, due to Mitsubishi's unique Super All-Wheel Control (S-AWC) four wheel drive system. Brisk driving performance is thanks to combination of newly developed 1.5L direct-injection turbocharged gasoline engine and CVT with an 8-speed manual override." This is the first time a MMC model has been awarded the RJC Car of the Year since the Mitsubishi i in 2007. "It is delight for us to win the RJC Car of the Year 2019. 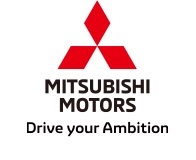 Mitsubishi Motors is committed to putting the customer first, which is inspired by our corporate philosophy - Create a vibrant society by realizing the potential of mobility," Mitsubishi Motors Corporation announced. The 28th RJC Car of the Year was selected by RJC members from Japanese models launched on the domestic market between November 1, 2017 and October 31, 2018. The selection committee chose the "6 best models" on November 1 before voting on November 13 to decide the RJC Car of the Year 2019.